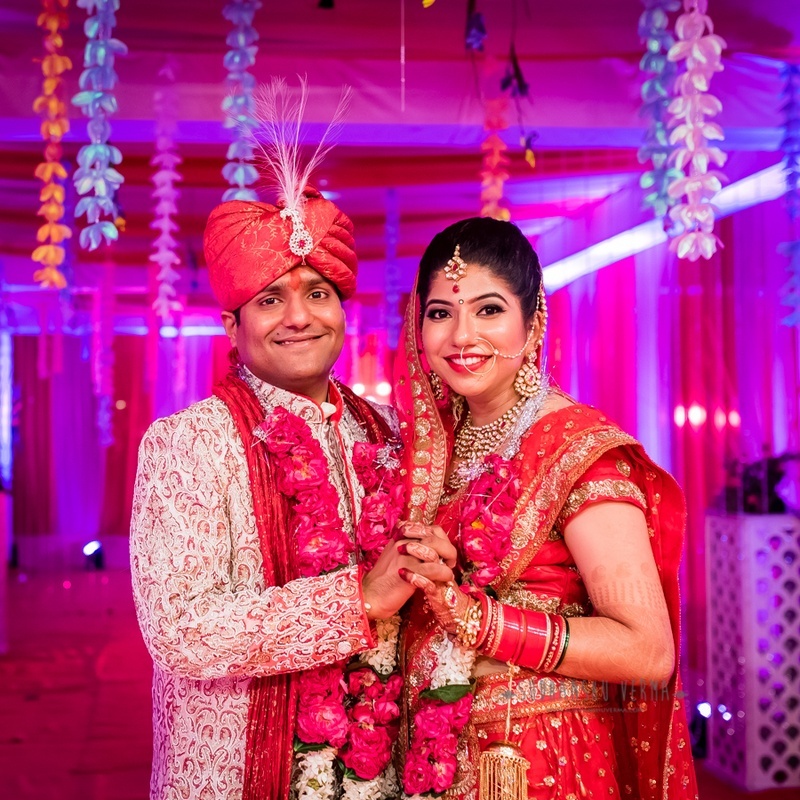 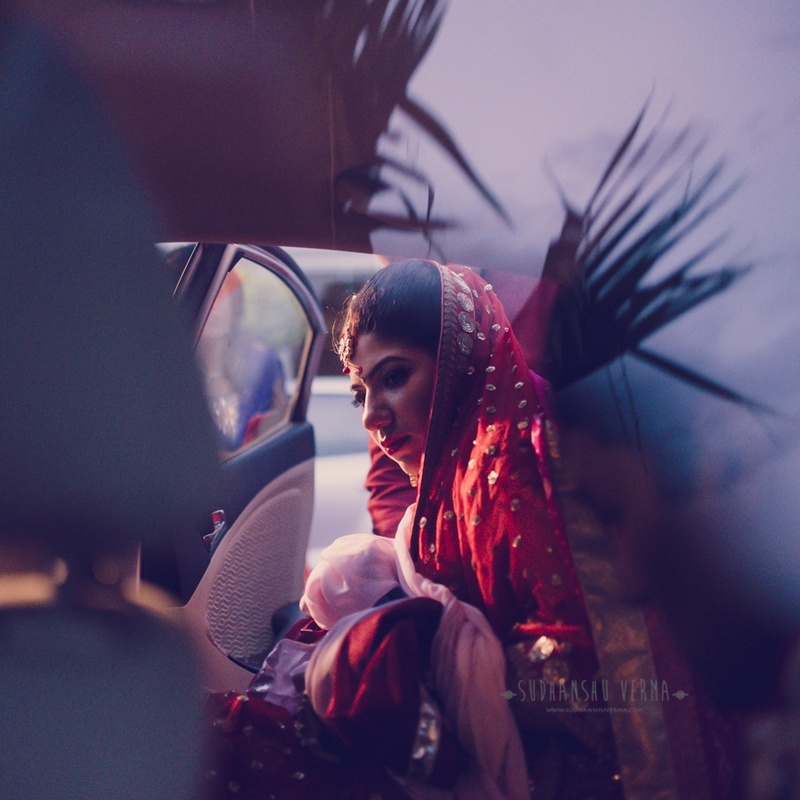 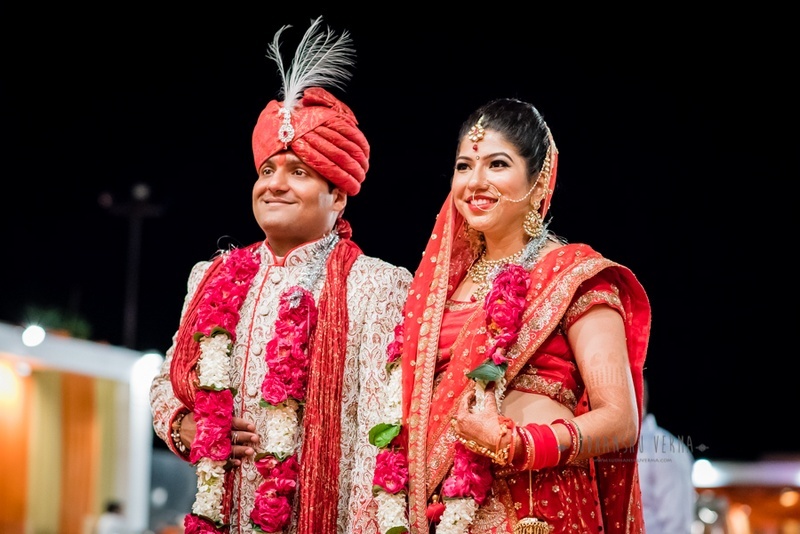 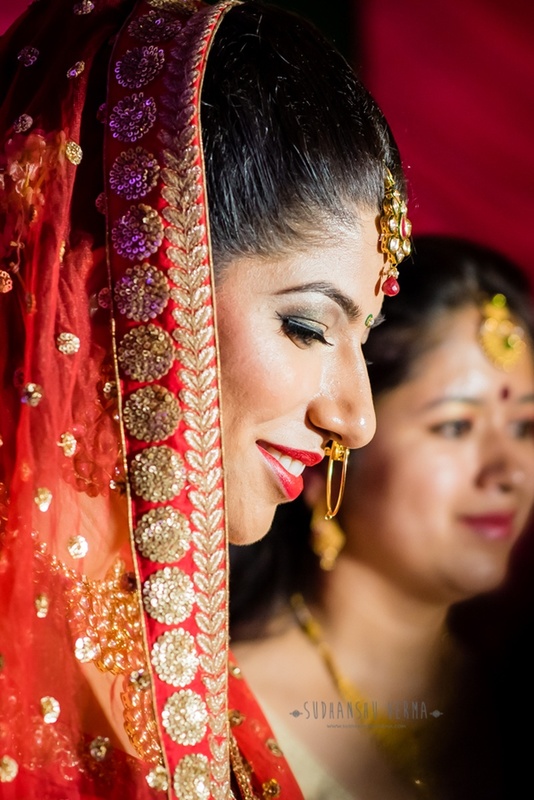 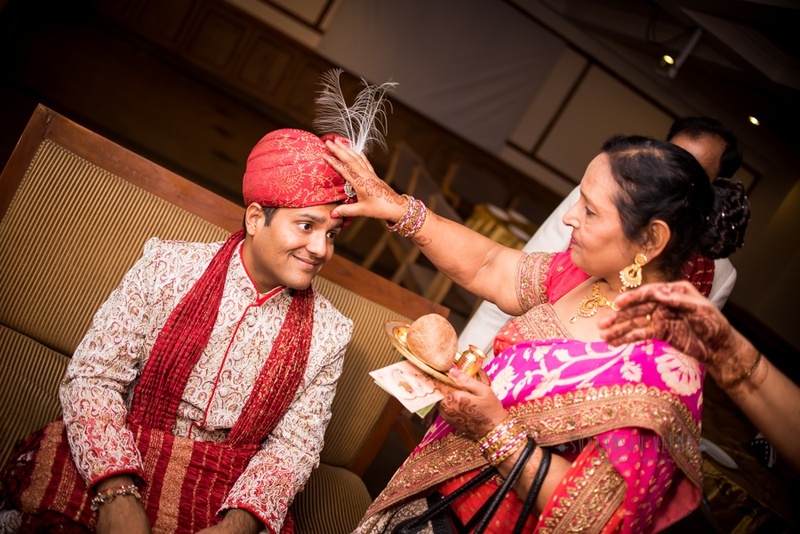 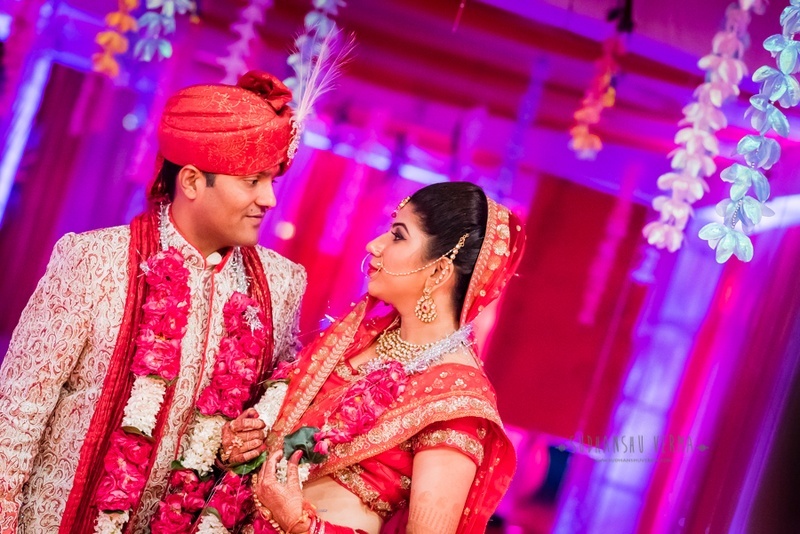 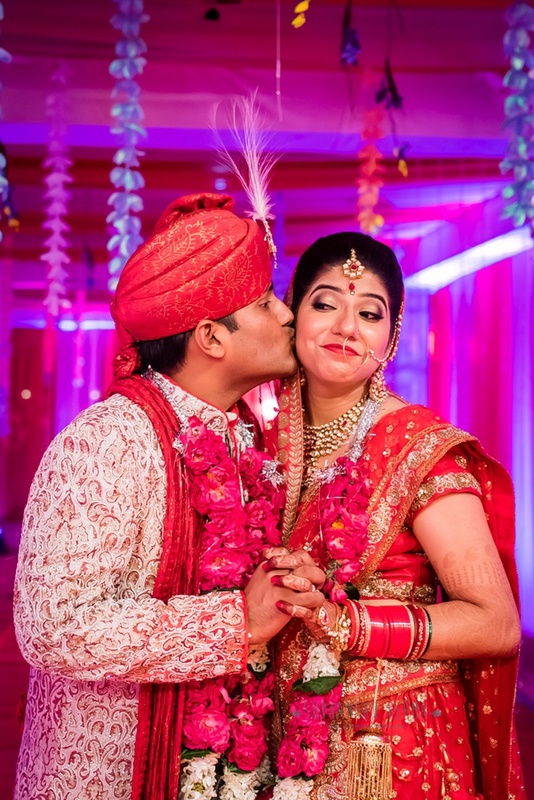 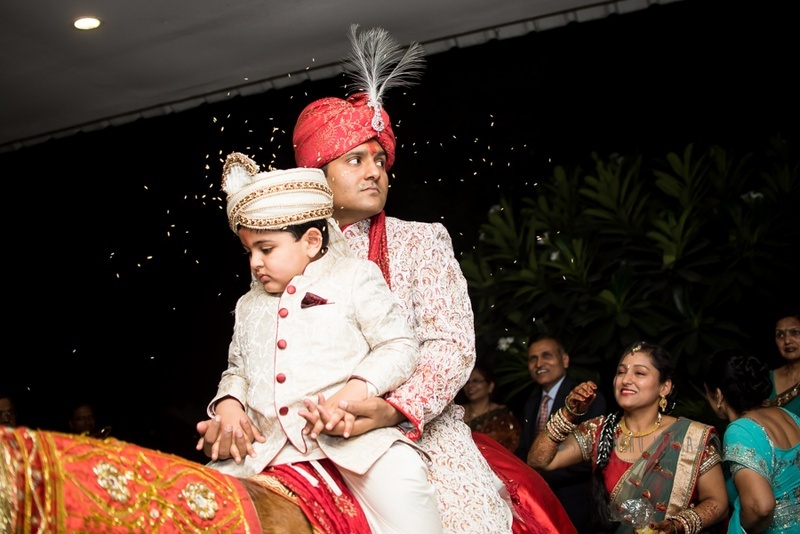 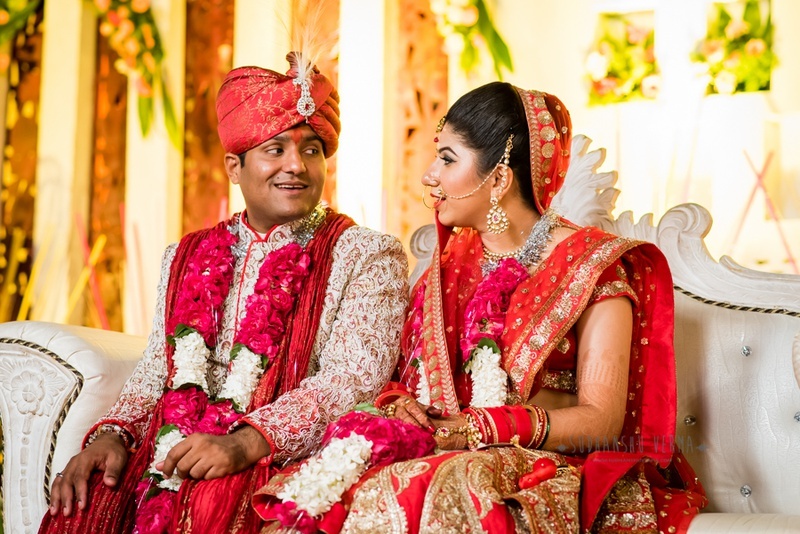 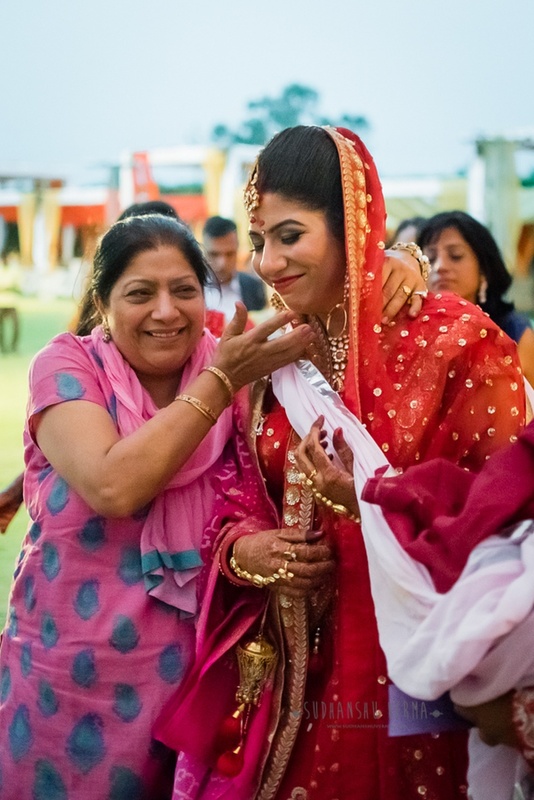 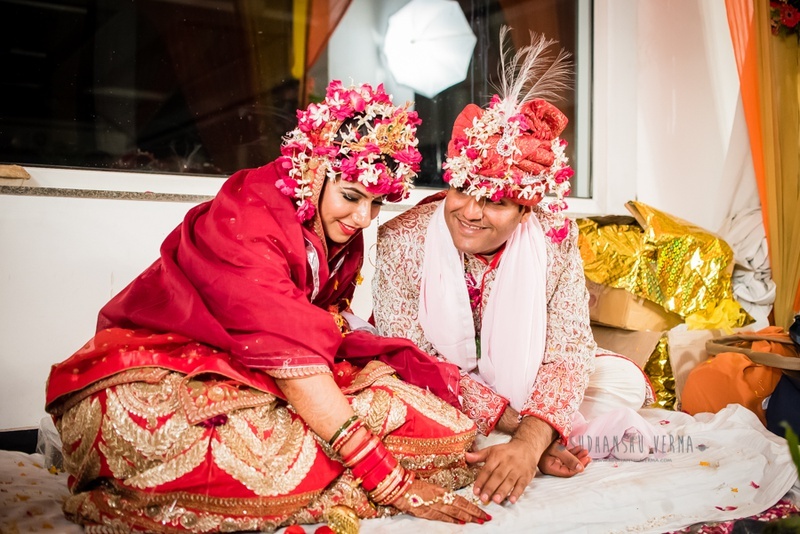 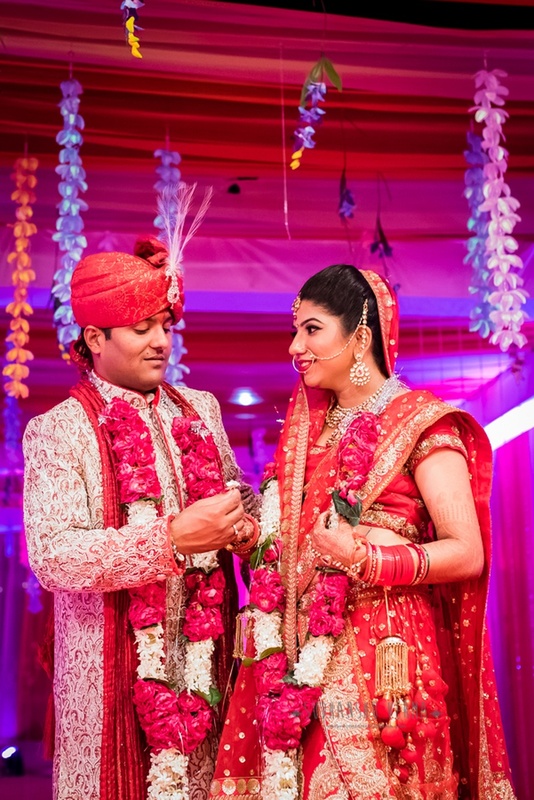 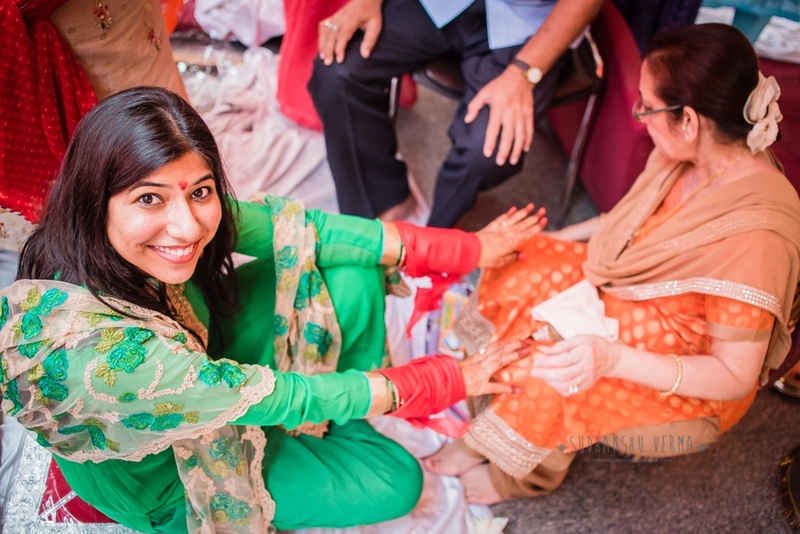 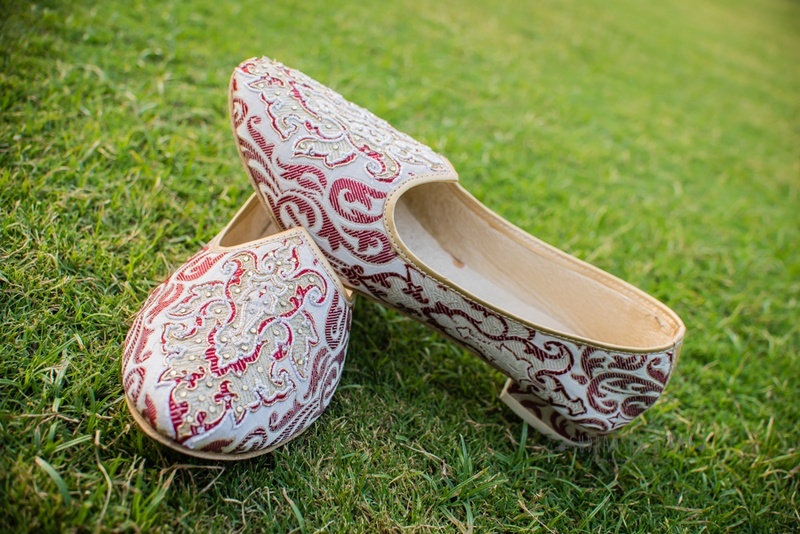 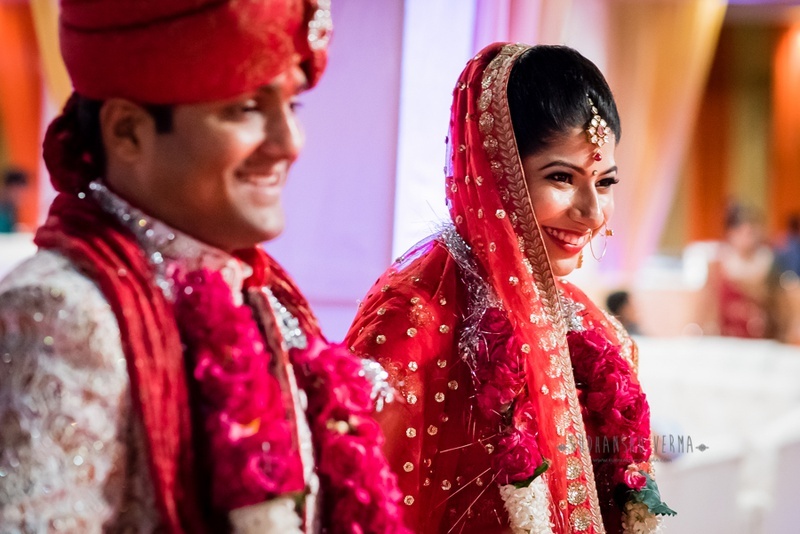 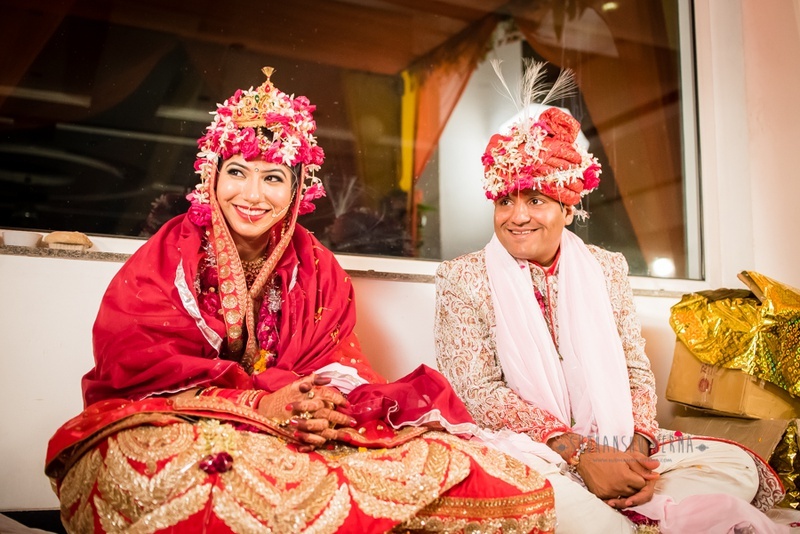 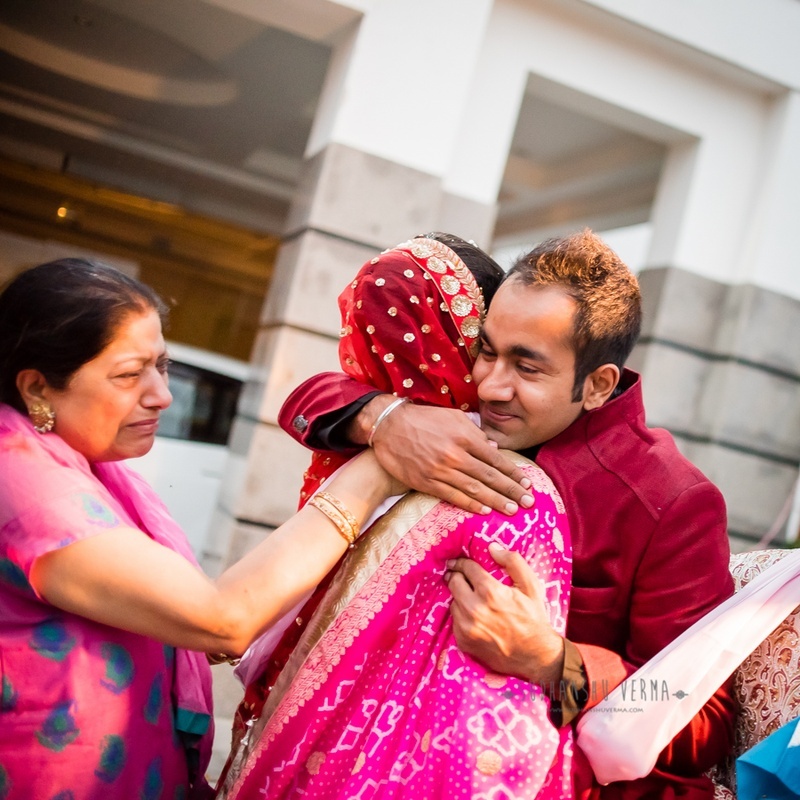 Swati and Akshay’s pink- and red-hued wedding speaks of all things traditional and stylish mixed into one. 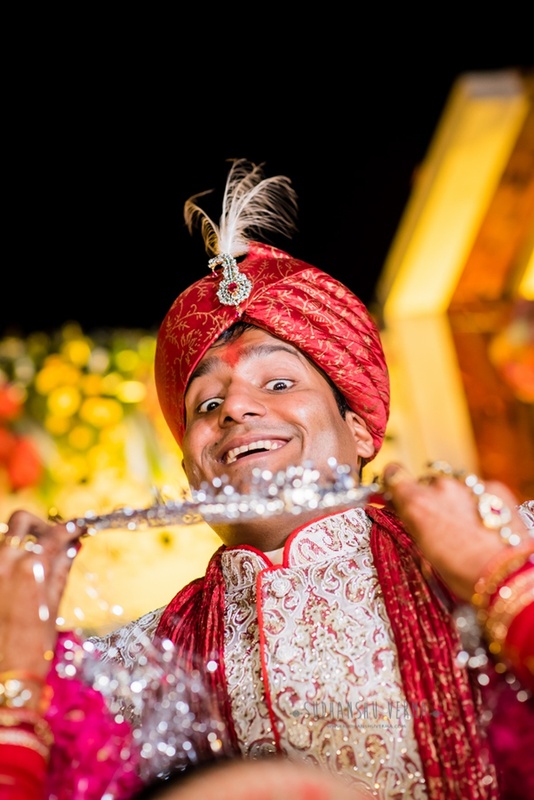 It’s hard to keep the elements of style and not leave out the age-old ceremonies and rituals which are the very essence of Indian weddings. 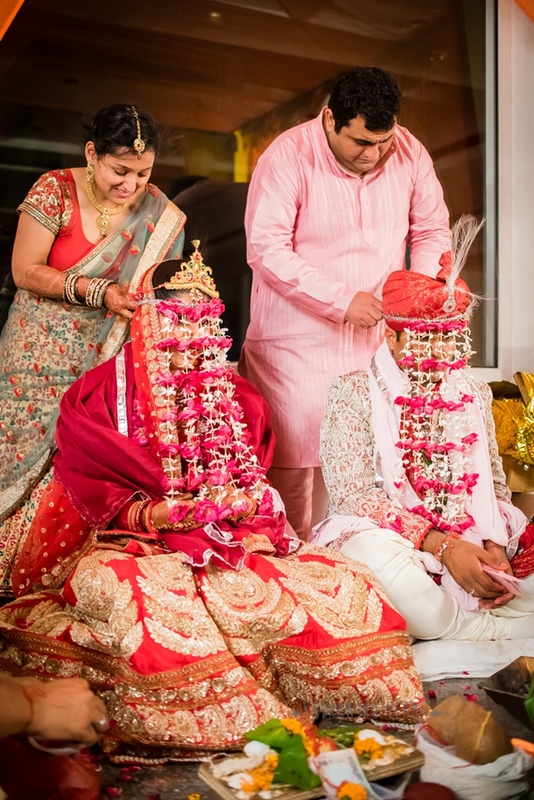 But we can safely say that this couple found the right balance for their wedding and it turned out to be absolutely beautiful. 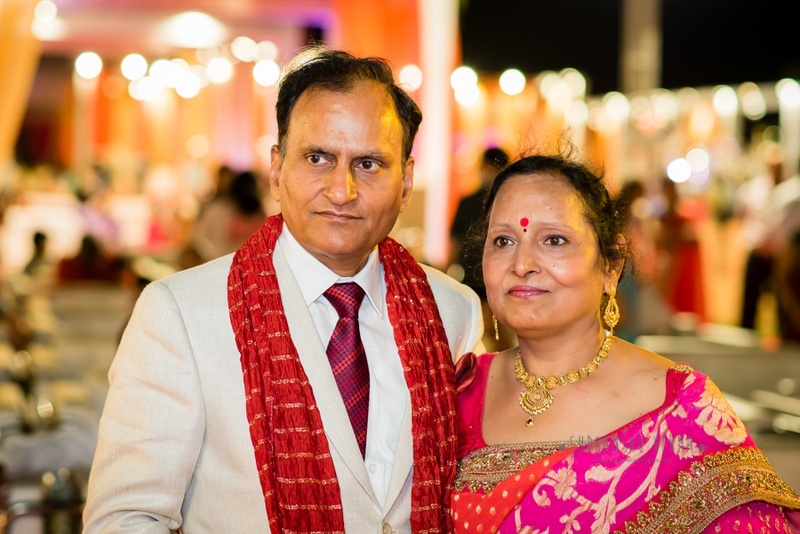 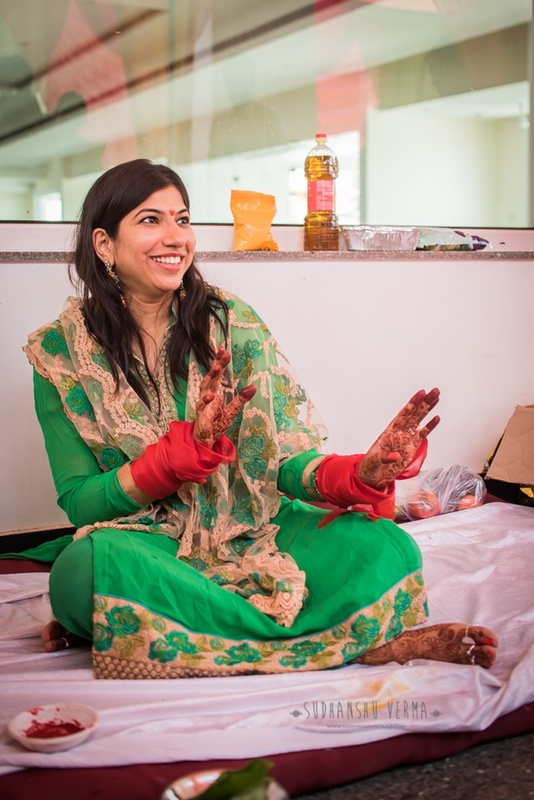 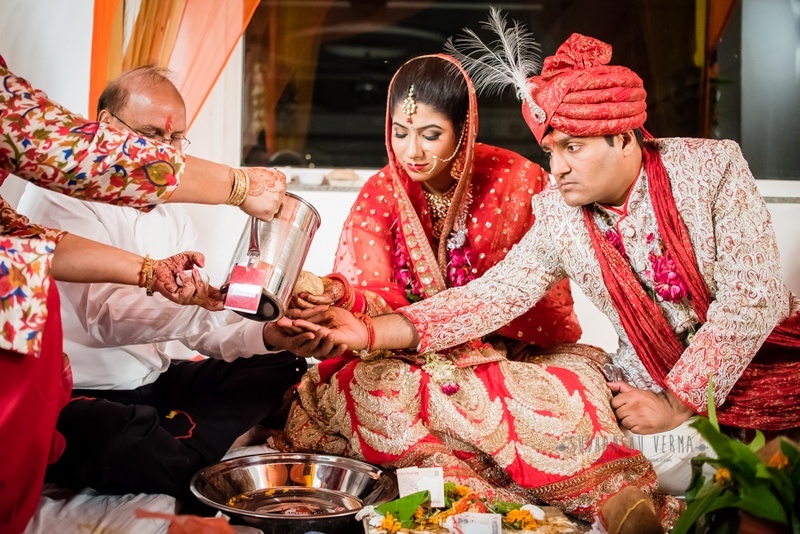 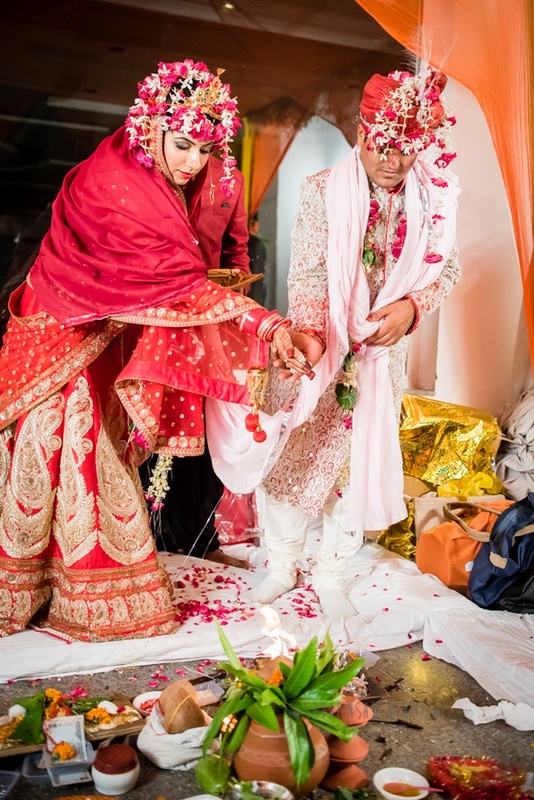 Swati and Akshay held hands and took their Saat Pheras in the presence of friends, family and loved ones who showered them with fresh flower petals symbolic of everlasting blessings. 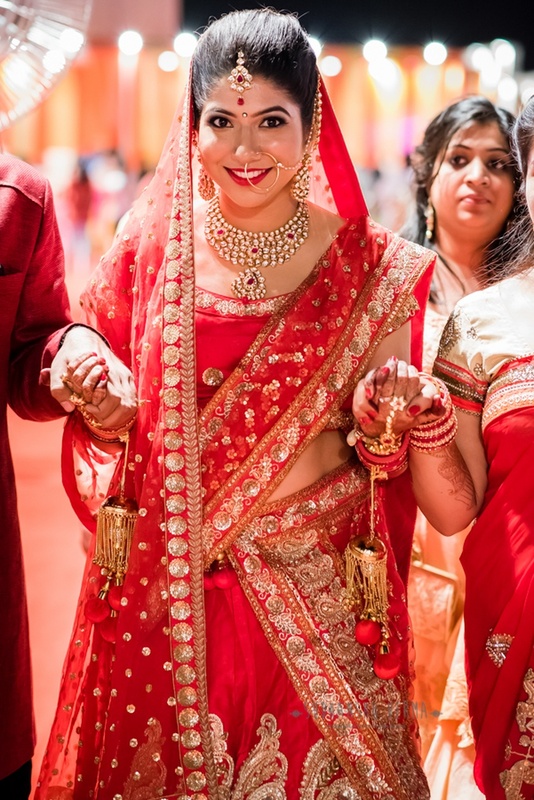 The beautiful bride donned a traditional red and gold kalidar lehenga choli, paired with a sheer red bridal dupatta embellished with shimmery gold sequins. 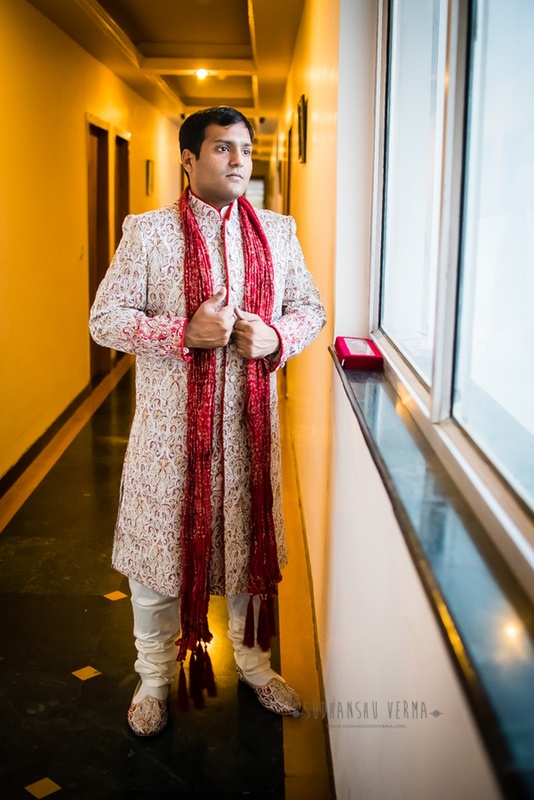 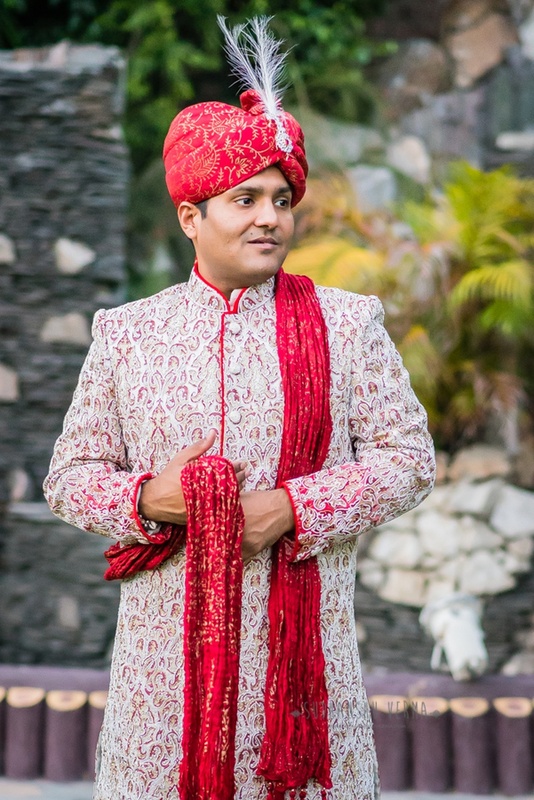 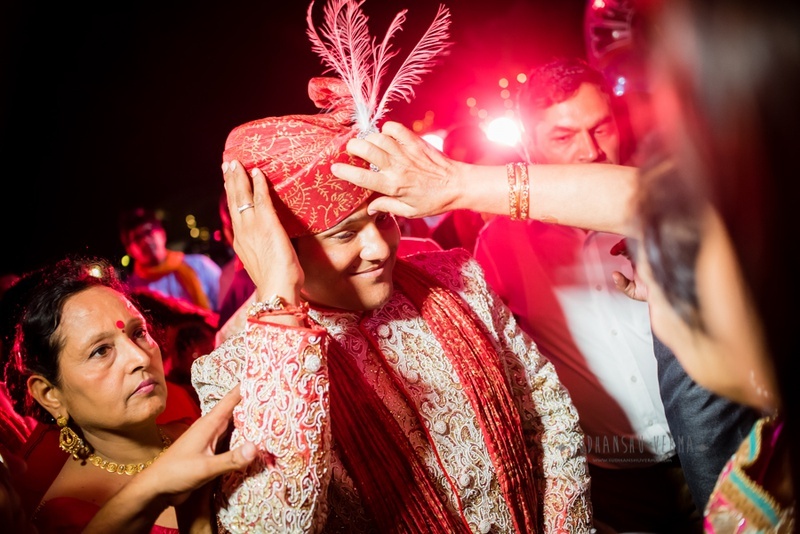 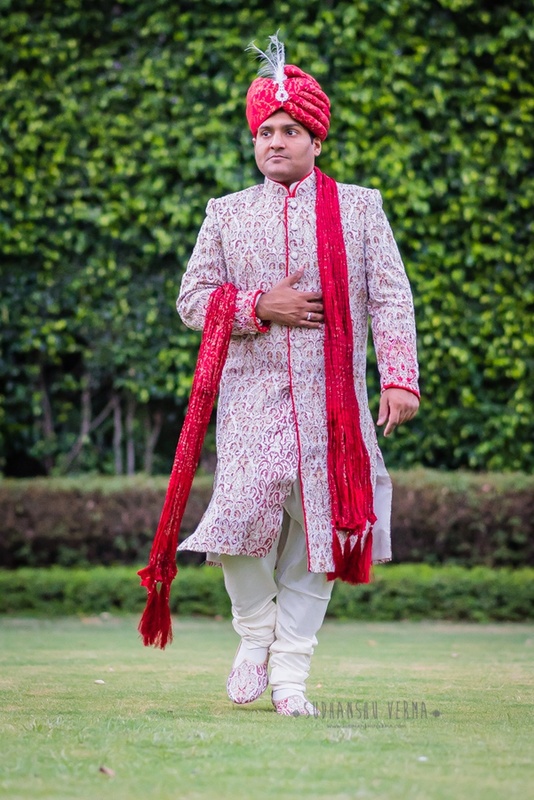 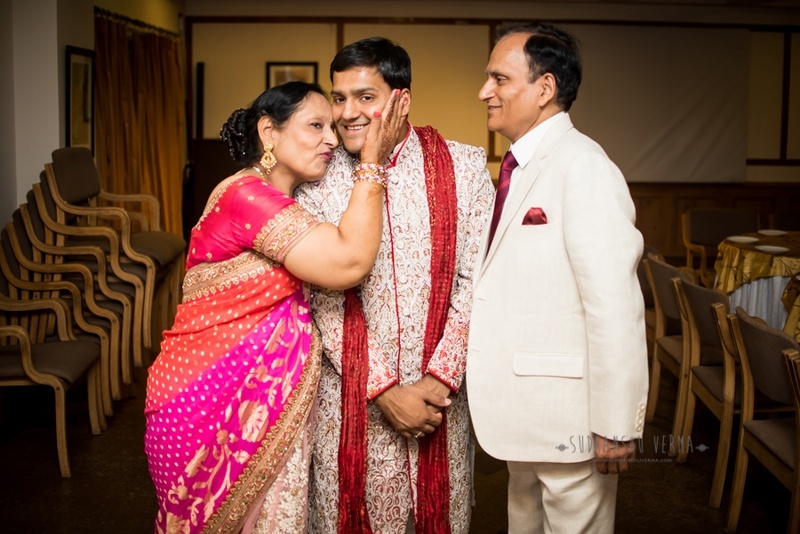 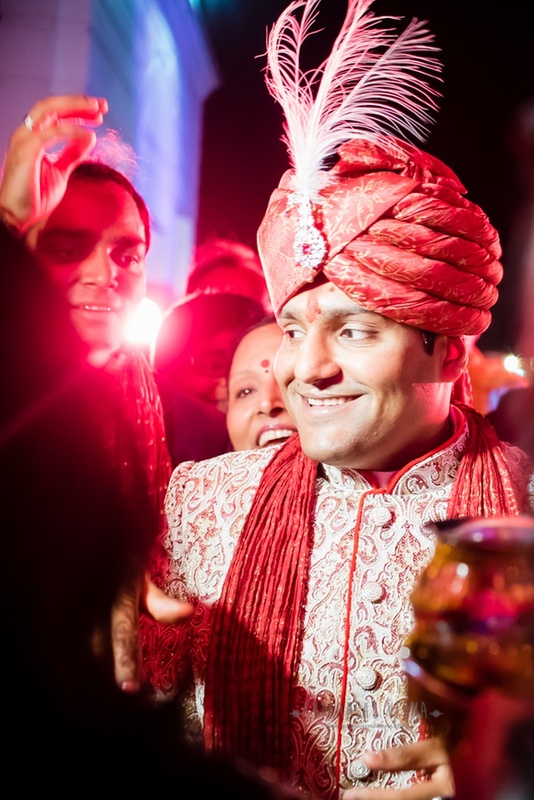 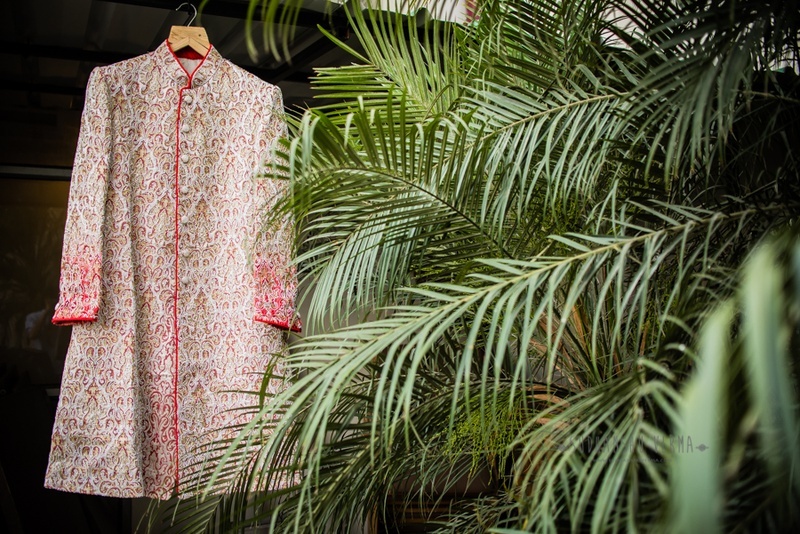 Her handsome groom, Akshay, did not go with the usual textured beige silk sherwani, but rather opted for a stylish textured white bandhgala sherwani that had stunning red accents all over. 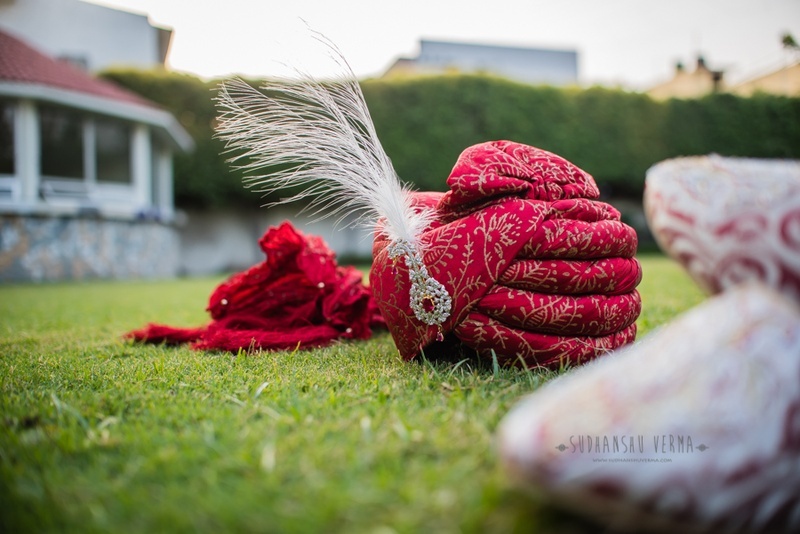 He paired it with a red and gold crushed dupatta and matching safa. 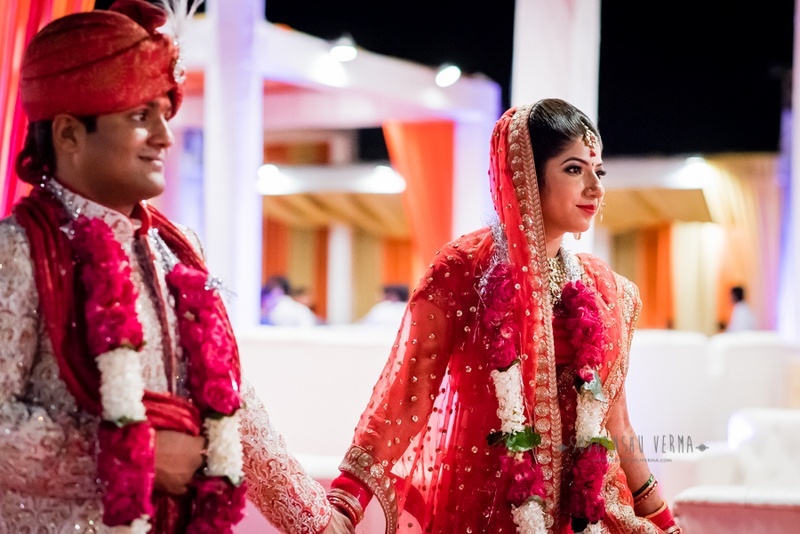 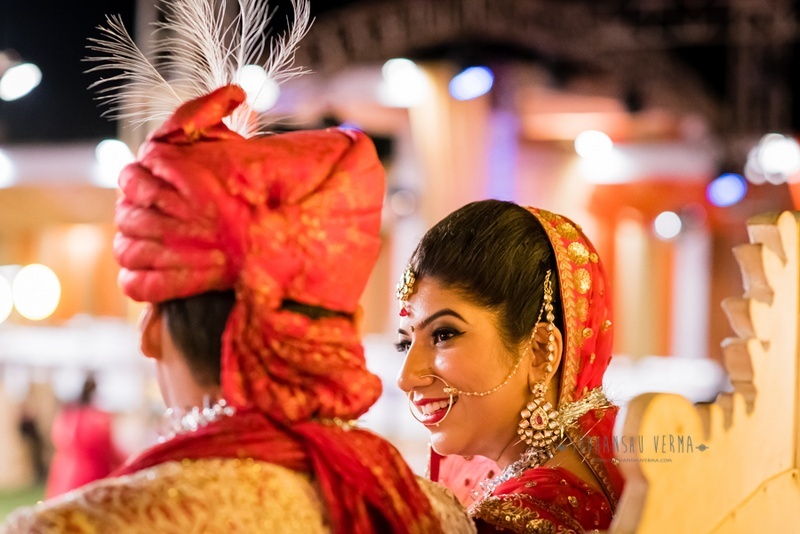 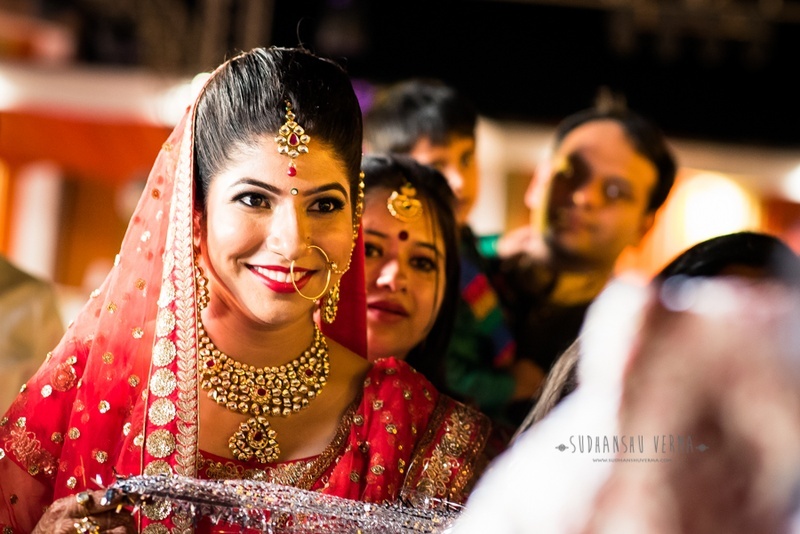 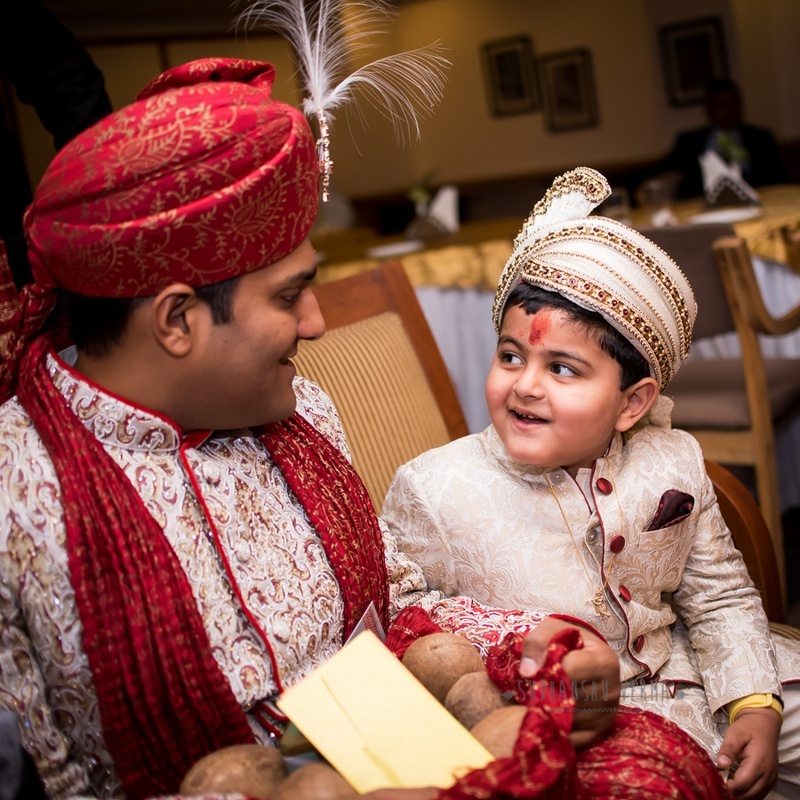 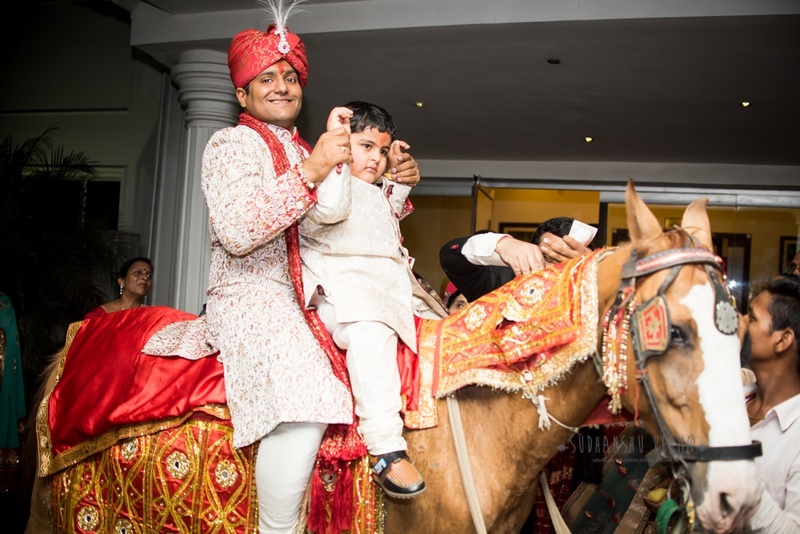 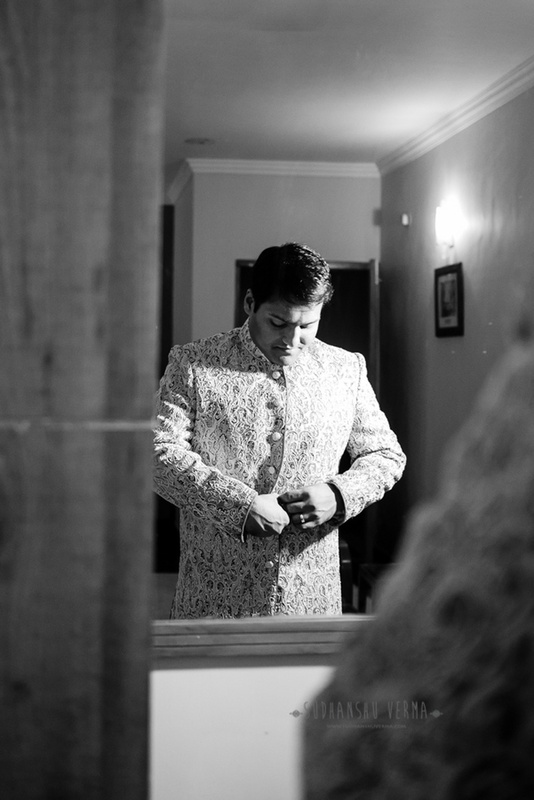 Sudhanshu Verma Photography captured photos from this stylish traditional wedding with great talent. 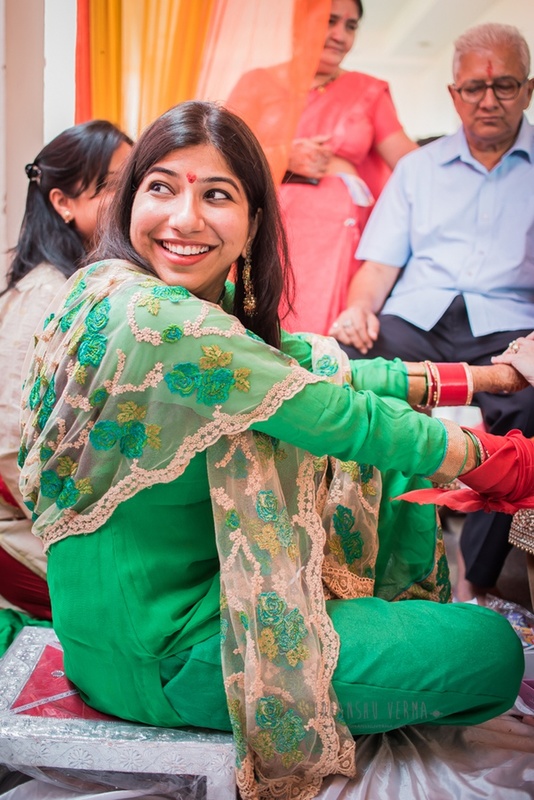 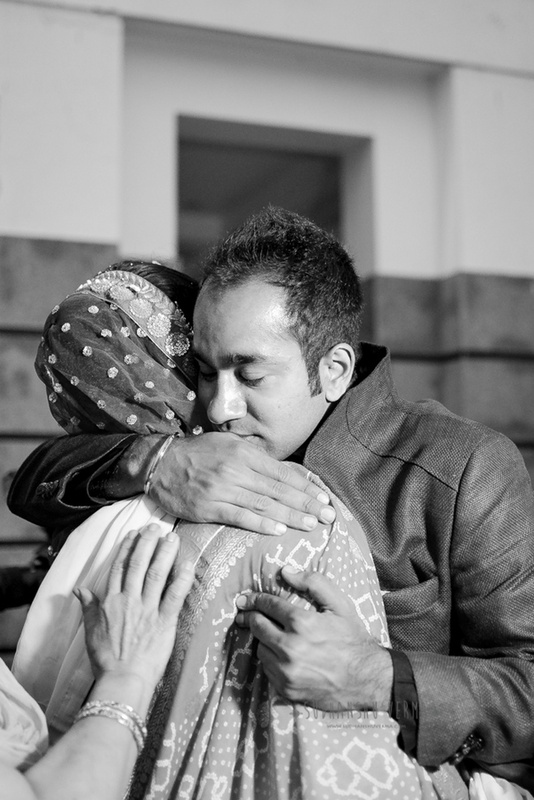 Not failing to capture every emotion felt during wedding functions.